Every time I return to India from a long stay in Singapore, the first thing that I notice distinctly, starting from the arrival lounge of the airport itself, is that almost every alternate person, I see in India, is either fat or obese. This is perhaps because, one keeps seeing very slim people in Singapore most of the time. To see a fat or an obese person in Singapore is a rarity. Compared to that, we Indians appear to me as super giants. I notice that all my friends, male relatives have added even more flab on their tummies and around the chins. All women appear to me obese. I had always thought so far, that I am feeling so, because my eye sight, sort of gets used to slim people of Singapore. Recently, I came across two articles written by experts on Obesity and I have realized, that what I see and feel here in India, is no deception of the eyes, but reality. Besides the first three ranks, the paper says that more than 76% of women from Delhi, India's capital have a waist-line that is beyond normal limits. The rank of my home state, Maharashtra, though luckily not in first three, is still quite high up. The readers might say that all this quite vague. What do I mean, when I say someone is fat or obese or normal? Are there any measures for this? The simple answer to these questions would be 'Yes,' there are measures for obesity. The first of these is called 'Body mass Index.' But then what exactly is the by mass index? Body mass index is defined as the individual's body mass or weight divided by the square of his/her height. Usually this ratio requires weight and height in either Kg and Meters or Pounds and inches. According to the latest standards published by Government heath department, if a person has a BMI less than 23, that person can be considered as normal. Persons with BMI between 23 and 25 are considered fat and persons with BMI above 25 are considered as Obese. For most of the Indians, they find it rather difficult to calculate their BMI because they know their weight in Kg but height in feet and inches. I found an interesting chart, which requires height in inches and weight in Kg to tell you your BMI. This chart is given below. Using this chart is quite simple. Just go to the height column and specific row, which matches with your height in inches. If your wight in Kg is less or equal to second column number of the same row, you are not fat or obese. If your weight is higher than second column number but less than third column number of the same row, you are fat but not obese. But if your weight is higher than the third column number you are obese. The second measure for obesity is the Waist to Hip Ratio. Measure your waist and hip sizes with a normal cloth measuring tape available in most households. By dividing your waist circumference with circumference of the hip, gives you this ratio. The chart for obesity with this measure is given below. Compared to some advanced nations of the world, it is true that obesity in India is much on a lower scale without least doubt. Still India happens to be the only country from developing nations that has been made a member by International congress on Obesity, for studying the ground realities in India about obesity. In 1997, the percentage of obesity in India was around 7% to 9% only. There has been a phenomenal growth in this percentage just in last 16 years and this has become a most worrying fact for health officials. 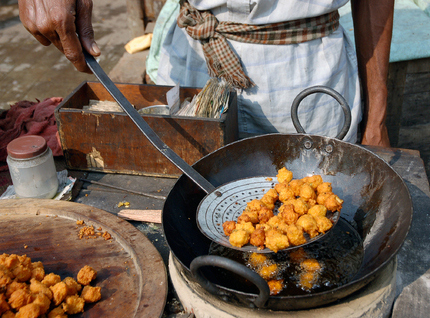 In Indian food, too many fried dishes are cooked on daily basis. We also eat, too much of oil and Ghee. 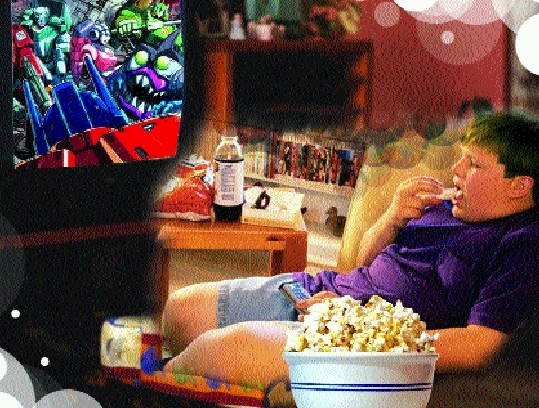 Fast or junk food is becoming more and more popular and most of the young prefer to shun sports and games. With obesity, more and more deadly diseases also continue to spread their tentacles. Today we have more than 25 Milion people affected with diabetes. It is expected that this number would go to 57 Million by 2025. In addition, obesity always invites cardiac or heart diseases. There are Millions of people in India, whose main worry is how to procure at least one square meal every day. In complete contrast, the highly educated middle and rich classes are becoming more and more obese. Isn’t it ironic? The actual danger figures obtained for your relationship amid alcohol consumption in addition to cancer malignancy ended up being after that useful to drinking in every nation's standard populace (assessed coming from Globe Overall health Corporation reviews as well as every household ingestion facts) and also most cancers number of cases facts to be able to appraisal the total quantity of predicaments regarding cancer malignancy for every calendar year that might be due to alcohol consumption in men in addition to women outdated 16 and also previously mentioned.